For most Perth financial planners, estate planning is a touchy subject. As with life insurance or disability insurance, nobody wants to think about the unthinkable happening to them. Most people see death as something that will happen “later” and disability as something that happens to someone else. Sadly, the cold, hard fact is that a lot of people do die before they think they will and many become disabled due to accident or illness. When someone dies, his or her family is already filled with grief. The worst thing that could happen would be to compound that grief by not having made arrangements for your family to be able to access your assets in their time of grief and need. 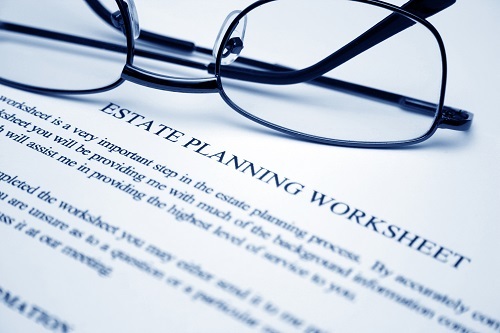 A lot of people think estate planning is simply writing a will, but they are wrong. In fact, we recommend or refer the actual writing of the will to a legal professional who is qualified to do it. Legal professionals know more about the law and can help maximise your assets through innovative strategies that minimise the taxes that your beneficiaries will have to pay. The first step we take is to complete a thorough inventory of your assets. This not only includes your personal assets, but also assets held in discretionary trusts, investment companies, self-managed or retail superannuation funds and other investment vehicles. Next, we take tax implications into consideration and create investment vehicles that are tax effective in the long term for your beneficiaries. We also take special family situations such as divorce, minor beneficiaries or disabled beneficiaries. Then, it is time to work in tandem with your selected legal professional to create enduring power of attorney, your will and binding death benefit nominations. We also take future benefits into effect, such as lump sum death benefits, tax circumstances, asset protection and life interests or income streams based on dependent needs. To learn more or for an individual consult, call Approved Financial Planners today: 08 6462 0888.